Present tense definition: The present tense signals an action that is currently going on or habitually performed. What is Present Tense in English? What does past tense mean? The present tense of verbs expresses events or actions that are occurring now, relative to the speaker—or to actions that are habitually performed and may not necessarily be happening right now. These actions are general truths or they are happening now. What is a present tense verb? Here are the four present tenses in English. We have definitions and examples of each so you can learn past tense. What is the Simple Present? What is the simple present tense? The simple present is generally used for actions that are factual, normal, or regular in occurrence, sometimes called habitual actions. Habitual actions are actions that occur in the present but are not necessarily happening right now. Shane washes his car on Sundays. 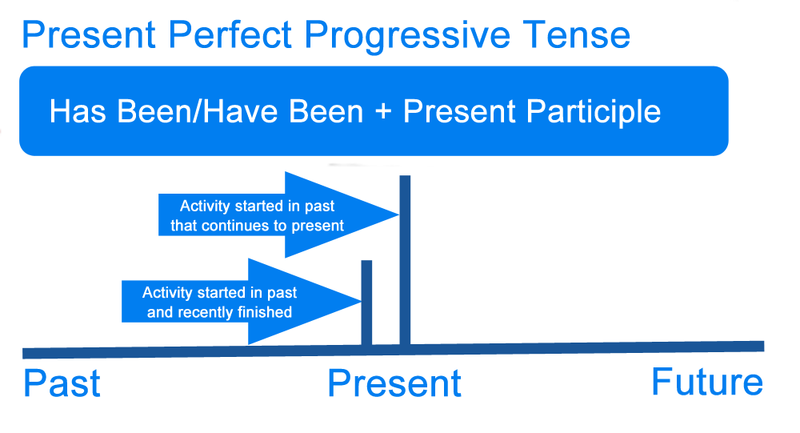 What is the Present Progressive Tense? What does present progressive mean? The present progressive expresses actions that are happening now or that are in progress. They are completing a project together. I am going to wash the car tomorrow. What does present perfect tense mean? The present perfect tense expresses actions that happened at time that is not specific and actions that started in the past but continue to the present. I have traveled to Paris. My mom has been a clerk her entire professional career. What does present perfect progressive mean? The present perfect progressive tense expresses actions that began in the past and continue to the present and actions that have recently stopped. The baby has been crying for hours. The above examples covered all of the various kinds of present tense verbs. English also has a present tense and a future tense. What does past tense mean? In general, the past tense expresses events that have occurred before now. They cleaned up after dinner. John rode his bike to work. What does future tense mean? In general, future tense expresses actions that will occur at a future date. She will attend high school next year. 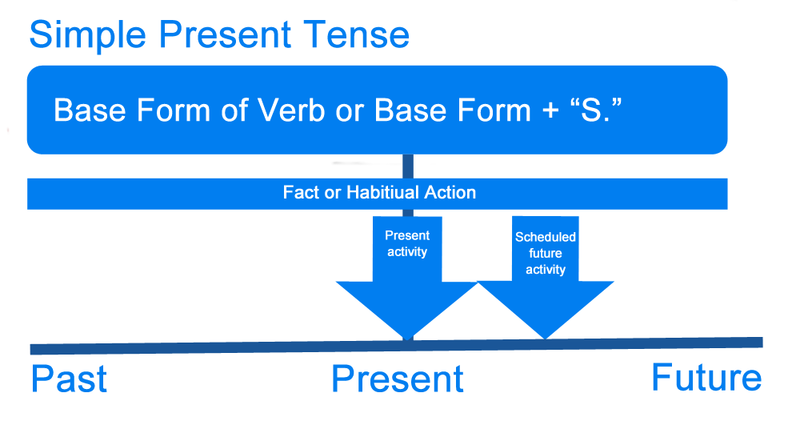 Summary: What is the Present Tense? Define present tense: In grammar, the definition of present tense is a tense signaling an action that is currently going on or habitually performed. 1 What is Present Tense in English? 4 What is the Simple Present? 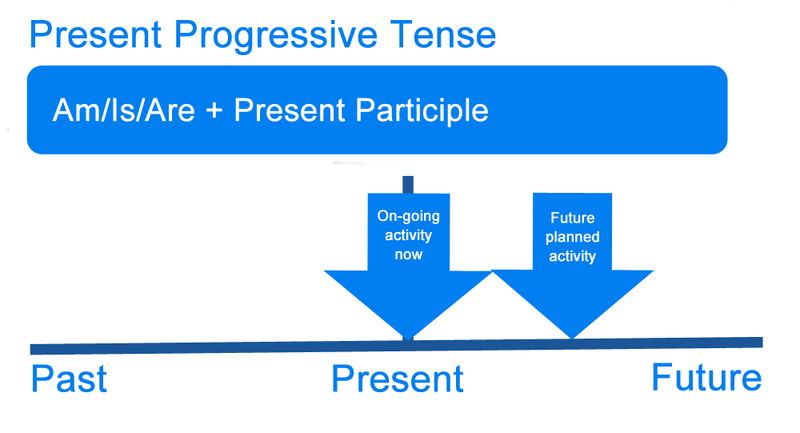 5 What is the Present Progressive Tense? 6 What is the Present Perfect Tense? 7 What is the Present Perfect Progressive? 9 What is the Past Tense? 10 What is the Future Tense? 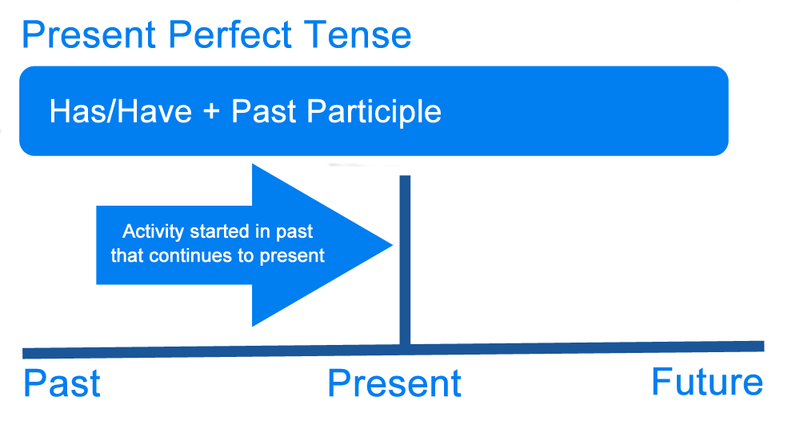 11 Summary: What is the Present Tense?